Dr. Keith’s research interests have centered primarily on schizophrenia and mood disorders. He has written widely on the diagnosis and treatment of schizophrenia, emphasizing the integration of biological and psychosocial aspects of the illness, serving on the DSM III-R and DSM-IV work groups on schizophrenia and has spoken throughout the world on these topics. Dr. Keith is the Emeritus Milton Rosenbaum Professor of Psychiatry and Psychology and the former Chair of the Department of Psychiatry that he headed for 18 years. Prior to coming to the University of New Mexico, Dr. Keith served at the NIMH for 20 years where he headed the Schizophrenia Research Program. 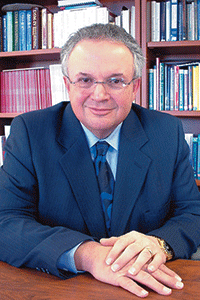 For his last three years at the NIMH he served as the Institute’s Acting Deputy Director.